The City of Yorba Linda, the Yorba Linda Public Library and the Yorba Linda Department of Parks and Recreation are working to design and construct two new facilities that will house the new library and a new arts-related space. The new facilities will be built off Lakeview Ave, just north of Yorba Linda Blvd, across from the Town Center development area that is under construction now. The new library will be approximately three blocks from the current library. It will be home to the Public Library as well as a new Cultural Arts Center. At approximately 13,500-square-foot, the Cultural Arts Center will provide much-needed space for recreation and community arts programs. The project will be housed in two buildings on the City-owned 4.7-acre “strawberry field” parcel on Lakeview Avenue, across from the new Yorba Linda Town Center. 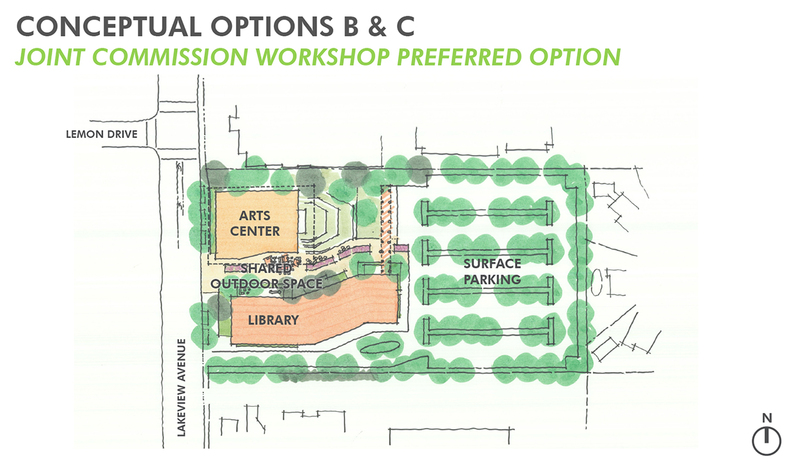 A central paseo between the two facilities will provide areas for outdoor activities and community events. The site provides adequate parking to meet planned uses. Based on community feedback, the facilities will have a civic, yet gracious presence; a timeless design that endures physically and aesthetically; be inspired by the local geography and nature in a subtle and elegant way; and maintain warm and sophisticated interiors, finishes, and details that are welcoming to all.